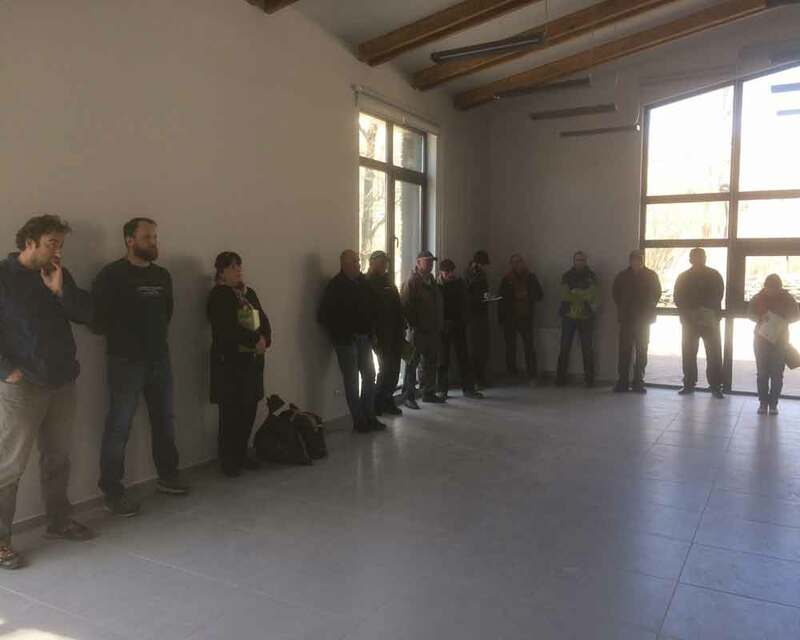 On April 2, within the framework of the project “Clean Up Georgia” a meeting was held with the employees of Kazbegi National Park namely on problems related to waste problems. The meeting was organized by The Greens Movement of Georgia / Friends of the Earth- Georgia. At the meeting participants were provided with information on waste management situation in Georgia, international obligations and foreign experience in the field of waste management. During the meeting employees have noted, that there is still shortage of waste containers in touristic zones and stopping stations along the motorway are polluted by drivers, that creates source of pollution. The meeting was attended by 16 employees. On April 2, in the framework of the project “Clean Up Georgia” a meeting was held on waste management issues in public school of village Arsha , Stepantsminda municipality. 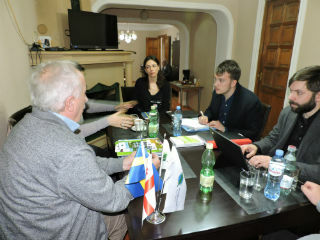 The meeting was organized by The Greens Movement of Georgia / Friends of the Earth- Georgia. The meeting was attended by teachers and pupils of Arsha public school, who were provided with information on existing situation of waste management in Georgia as well as foreign practice. The meeting was attended by teachers and pupils of Arsha public school, who were provided with information on existing situation in the field of waste management in Georgia, as well as foreign practice. The pupils noted, that their school is located next to the natural landfill and it needs to be cleaned up. The meeting was attended by 18 teachers and pupils. On the 13-15th and 30th of March, 2018, Georgian Society of Nature Explorers “Orchis” arranged meetings in Autonomous Republic of Adjara as well as in Racha-Lechkhumi & Kvemo Svaneti, Samegrelo-Zemo Svaneti, Guria and Mtskheta-Mtianeti Regions. These gatherings were attended by representatives of respective regional administrations, City Halls of municipalities of these regions, limited liability companies, non-entrepreneur (non-commercial) legal entities and media. On March 23, 2018, NGO Ecological Awareness and Waste Management (EAWM) hosted the meeting between the representatives of NGOs Implementing “Clean Up Georgia-Phase III" project and the Swedish Environmental Protection Agency (SEPA). 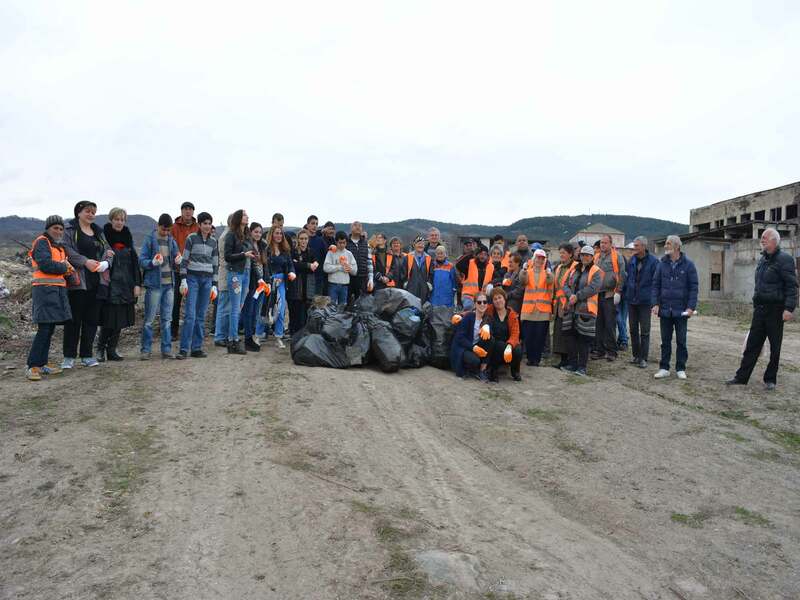 To celebrate World Water Day in Kareli Municipality, on March 22 the local coordinator of The Greens Movement of Georgia/Friends of the Earth – Georgia organized clean up action in the frames of the campaigns “Clean Up Georgia” and “Blue Stream”. Action aimed to clean up gorges and shorelines existing in the municipality. 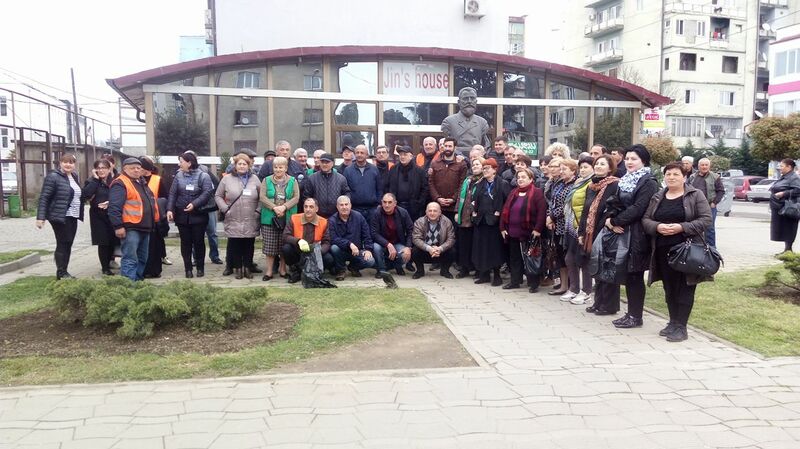 During action, surrounding territories of the rivers Ptsiula, Dzama and Prone were cleaned up, 6 ha in total. 3 tons of waste was collected. 120 people participated in the action. On March 21, 2018 NGO Ecological Awareness and Waste Management (EAWM) conducted the workshop/ training with the representatives of Georgian Water and Power Company (GWP), in the framework of the ‘Clean Up Georgia – Phase III” Project. To celebrate World Water Day in Samtredia Municipality, on March 22 the local government, local coordinator of The Greens Movement of Georgia/Friends of the Earth – Georgia and GWP-Georgia organized clean up action in the frames of the campaigns “Clean Up Georgia” and “Blue Stream”. During action, surrounding territories of Saint Nazari Lezhava church of borough Kulashi and Khunjulauri spring of Nabakevi community were cleaned up. 40 people participated in the action. 2 m3 of waste was collected. About 1 ha area was cleaned up. To celebrate World Water Day in Mtsketa, on March 22 the local coordinator of The Greens Movement of Georgia/Friends of the Earth – Georgia organized clean up action in the frames of the campaigns “Clean Up Georgia” and “Blue Stream” with the support of local Educational Resource Center in 22 different places. 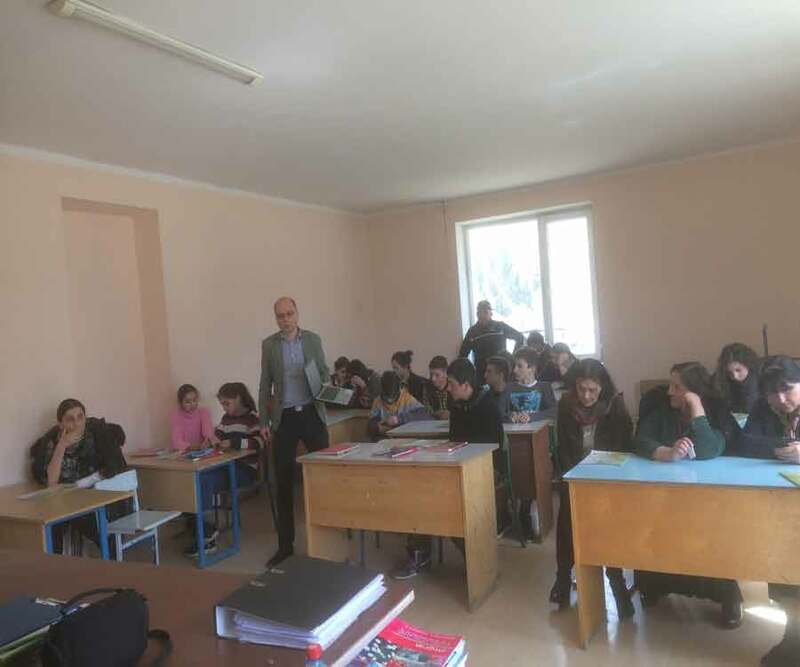 The head of Resource Center Mr. Parnazoz Iordanishvili participated in the action together with pupils. Action participants cleaned up about 7 hectares of area, collected 6 m3 volumes of waste, around 250 young people took part in the action. 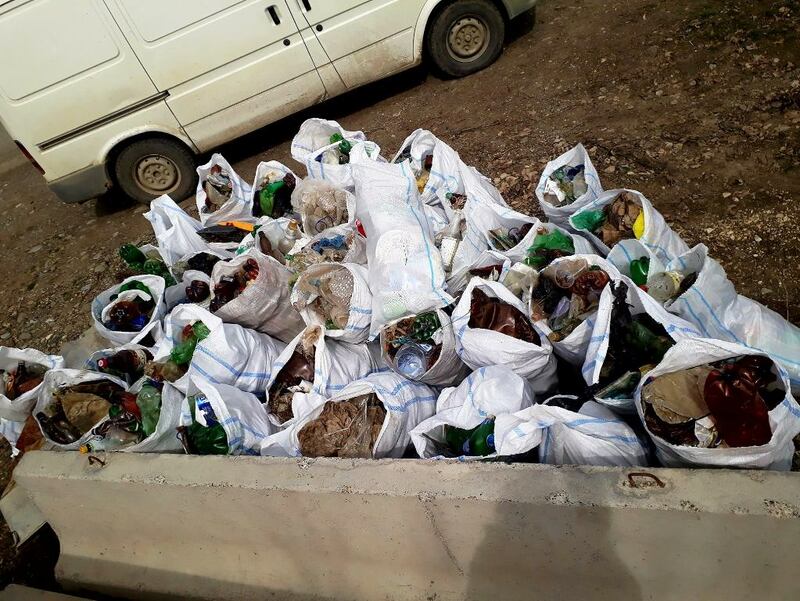 To celebrate World Water Day in Abasha Municipality, on March 22 the local coordinator of The Greens Movement of Georgia/Friends of the Earth – Georgia organized clean up action in the frames of the campaigns “Clean Up Georgia” and “Blue Stream” with the support of local authority. 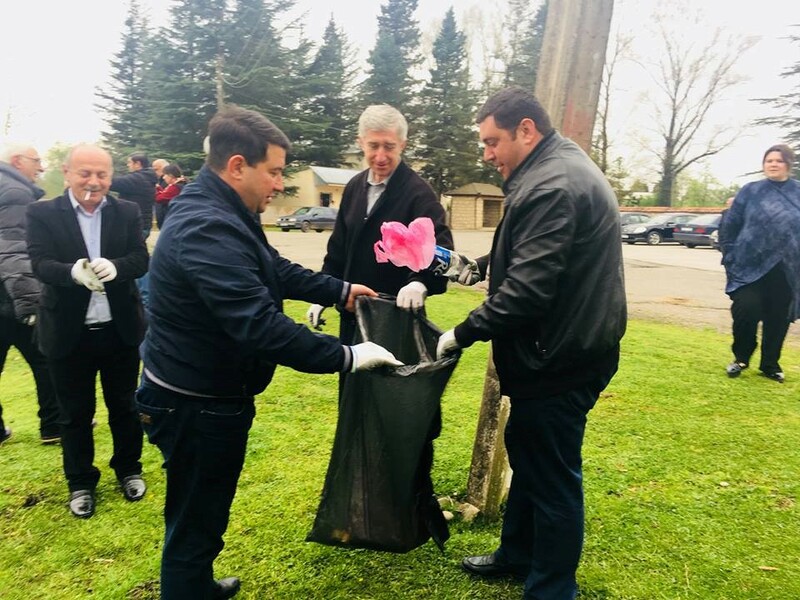 The Abasha action participants were: local population, Mayor of Abasha Mr. Levan Makalatia and chairman of the city council Mr. Mamuka kvitashvili, representatives from the various services existing in the municipality, 850 volunteers in total. To celebrate World Water Day in Bolnisi Municipality, on March 22 the local government and local coordinator of The Greens Movement of Georgia/Friends of the Earth – Georgia organized clean up action in the frames of campaign “Clean Up Georgia” and “Blue Stream” in the vicinity of Lisi Lake with the support of local authority. The action aimed to clean up gorges and river shorelines of the municipality. 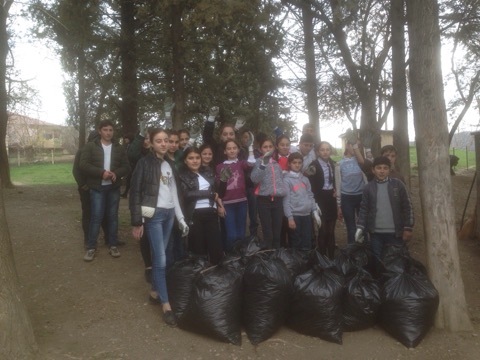 The Bolnisi action participants were: representatives from Municipality Hall and cleaning service, students and teachers of the public school of village Kvesha. 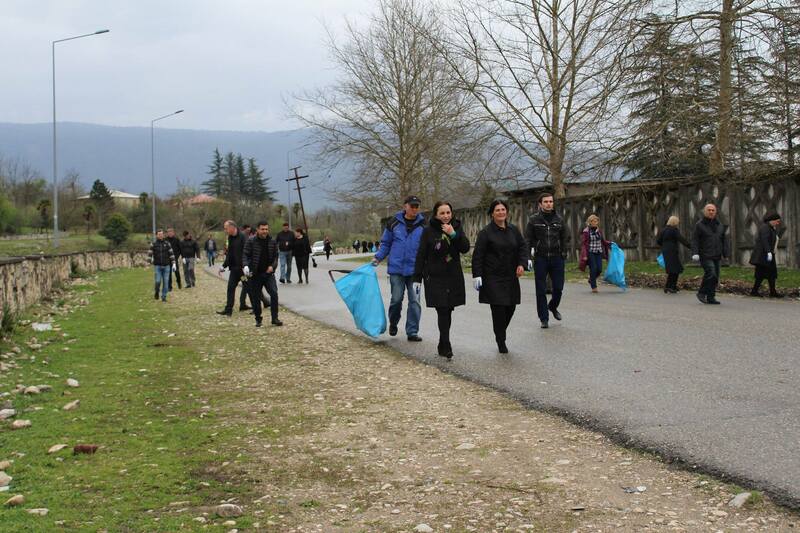 March 22, World Water Day was marked with clean up action in Gori municipality, organized by the local coordinator of The Greens Movement of Georgia/Friends of the Earth – Georgia. 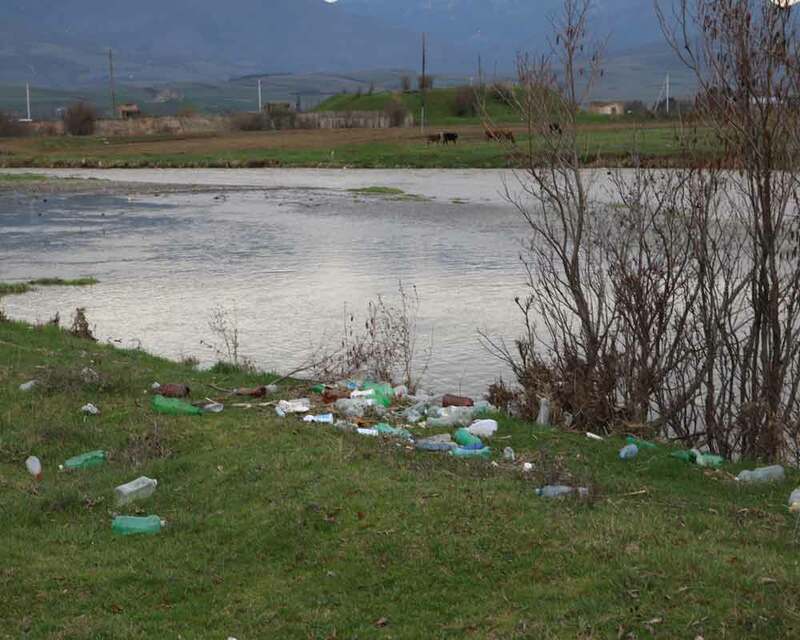 During the action was cleaned up the vicinity of the confluence of Mtkvari River and Liakhvi River, approximately 1-1.2 hectares. The action was attended by 50 local residents. About 1.7 m3 of waste was collected. Clean up action was carried out with support of local authorities in the frame of "Clean Up Georgia" and "Blue Stream" campaigns. March 22 - World Water Day, was marked with large-scale clean-up actions in Zugdidi, Tsalenjikha, Chkhorotsku and Mestia municipalities within the frames of "Clean up Georgia" and "Blue Stream" campaigns , organized by the local coordinator of the "Greens Movement of Georgia / Friends of the Earth - Georgia" in cooperation with local authorities. The aim of the action was to cleanup the river shorelines and gorges in the municipalities. 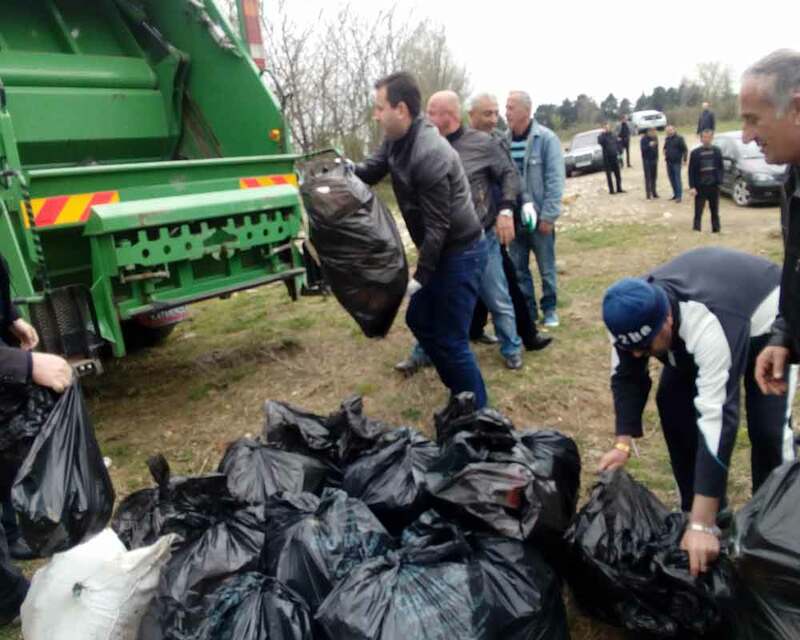 In cooperation with "Zugdidi Cleaning Centre" the actions were held in 48 territorial units, resulting in cleaning up of rivers, streams and water supply channels. Including Anaklia - Ganmukhuri sea coastline. To celebrate World Water Day in Tetritskaro municipality, on March 22 the local coordinator of The Greens Movement of Georgia/Friends of the Earth – Georgia organized a large-scale clean up action within the frames of the campaigns “Clean Up Georgia” and “Blue Stream” with participation of "Tetritskaro Cleaning and Improvement Service" , pupils of the public school N2 of town Tetritskaro and representatives of the Tetritskaro Municipality City Hall. The goal of the action was to clean the banks of the gorges and rivers in the municipality. Within the framework of the action, was cleaned up the river Chivchavi surrounding area from household waste. The action was attended by 70 people. 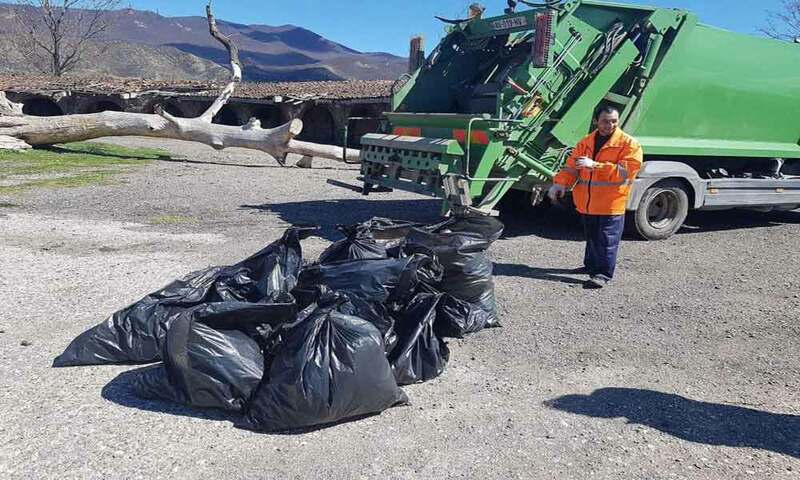 About 1.5 hectares area has been cleaned up, about 1200 kg of household waste was collected. To celebrate World Water Day in Tianeti Municipality, on March 22 the local coordinator of The Greens Movement of Georgia/Friends of the Earth – Georgia organized clean up action in the frames of the campaigns “Clean Up Georgia” and “Blue Stream”. The Tianeti action participants were: employees of Tianeti City Hall, city council, LLC Regional Healthcare Center, Social Service Agency and Tianeti Regional Department, students from Tianeti public schools, more than 900 volunteers in total. 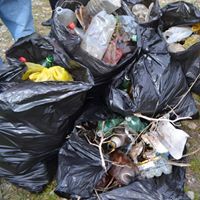 To celebrate World Water Day in Martvili Municipality, on March 22 the local coordinator of The Greens Movement of Georgia/Friends of the Earth – Georgia organized clean up action in the frames of the campaigns “Clean Up Georgia” and “Blue Stream”. The Martvili action participants were: employees of municipality city hall, city council and other departments, 50 volunteers in total. During action, shoreline of the river Inchkhi was cleaned up, approximately, 1.2 ha in total. Approximately, 3.5m3 of waste was collected. Waste was disposed by Martvili Public Center.